What is your perception of the wealth distribution in United States? Better yet, what is the reality of wealth distribution in the United States? 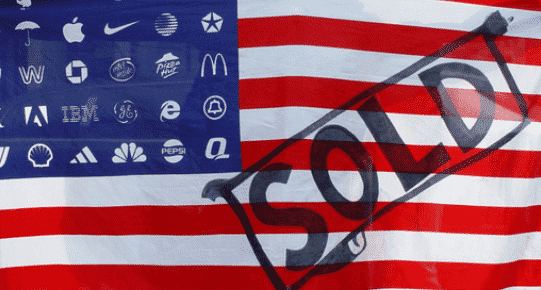 Most people recognize that the US has been the most powerful and wealthy country in the world since around 1976. And for years United States has been known as the land of opportunity. The dream that a person can start off in the world with nothing and make a prosperous life for oneself. Through hard work, self education, and determination, people have been able to improve themselves socioeconomically. This has been an inspiration to millions of people all over the world for the last half century. What a hopeful concept, to have the freedom and the ability to rise up and make a better life for yourself and your family. But how true is the “American Dream” for those that live in United States these days? There still is so much opportunity to educate yourself through college and trade schools. There are social programs that United States citizens can take advantage of to better their lives. And the United States still offers a thriving market place to start your own business or find employment. – The United States has the worlds largest national economy with a estimated GDP (gross domestic product) in 2013 of $16.8 trillion. But what is changing for the worse in the United States? Americans are starting to feel like the American Dream is no longer easily attainable, that it’s slipping away. 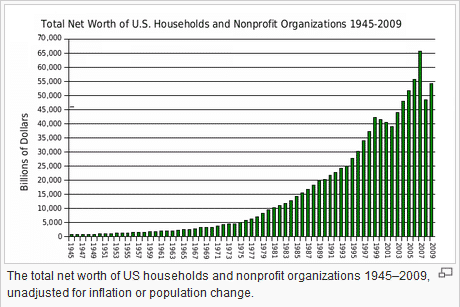 From 1947 to 1999, the average household income had been increasing every year. Since then it has been relatively flat and in recent years it has declined. And what we have found is that the majority of Americans are investing less in America. Today, the 1% of the wealthiest Americans take home 24% of the total income produced in the United States versus in 1976, that same 1% of the wealthiest Americans took home 9% of the total income. So what is happening in the United States is quite simple, the Rich are getting Richer and the Poor are getting Poorer. 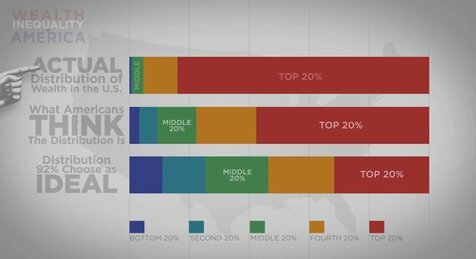 Below is a video that presents the Americans perceptions, ideal hopes, and the reality of what the wealth distribution is like in the United States. You can come to your own conclusion as to what this data means, but it’s truly intriguing to see how far off our perceptions are of what the actual wealth distribution is in United States. What’s Your Thoughts On Wealth Distribution? The video simplifies the concepts of how the distribution of wealth is shockingly different than what people perceive the wealth distribution to be in the US. That the history of the United States is changing right in front of our eyes and not for the better. Instead of having a society where everyone strives to prosper. We’re finding the majority of Americans living paycheck to paycheck, working only to sustain life. Something that we see more in Third world countries than in developed nations like the United States. We’re finding the wealthiest people retaining and growing their wealth at staggering rates while the poor and middle class are investing less and less in their futures. I don’t know what the solution is for the United States economy or what the future will bring. It sure would be great if mankind helped one another to prosper, grow, and live better lives. We all strive to live comfortable and happy lives. And sure, most people want to be rich, but how many among us take action to actually bring on change to make it happen. 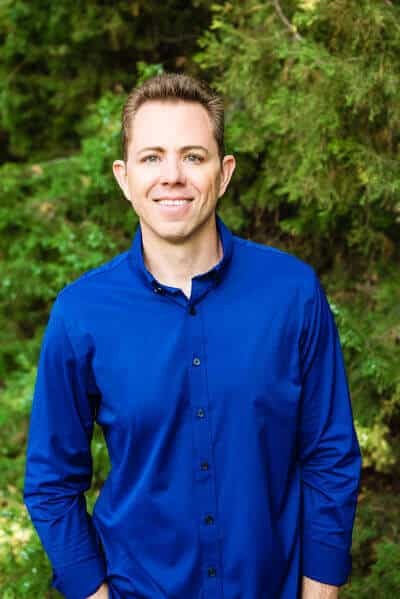 If you’re ready to do something proactive to control your future wealth distributions, consider building an online business. 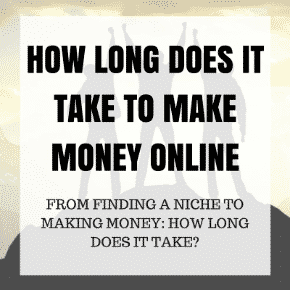 There’s a ton of advantages to starting niche websites or eCommerce business. 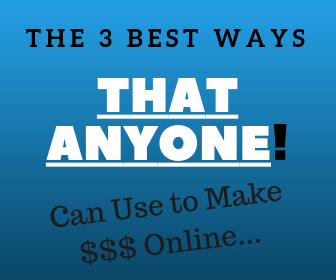 The online shopping trend is only going up, might as well as get in on the action. Check out our Free Training Series listed below to see how the process works. Best of luck and as always, if you would like to add anything to the wealth distribution in United States topic, please feel free to comment below.